Tidal claims 3 million subscribers, 45% paying for 'Hi-Fi' quality | What Hi-Fi? Tidal has announced new subscriber figures that claim the service now has three million paying subscribers, across 46 countries. This time last year the service had around 500,000, meaning Jay Z has added 2.5 million since he bought the service for $56 million. Tidal has also said 45 per cent of those three million subscribers are signed up to the £19.99/month hi-fi tier. While the number of subscribers is just a tenth of Spotify’s 30 million paying subs, it does put Tidal in the same territory as services such as Rhapsody/Napster and Deezer, and shows the service moving in the right direction. Some other big numbers were released by the streaming service this week, relating to Kanye West. West has made his own headlines with the launch of his latest album The Life of Pablo, which he has said will only ever be available to stream on Tidal. And Tidal has said the new album was streamed 250 million times in the first 10 days. When West announced his album would be exclusive to Tidal it caused the app to shoot straight to the top of the US App Store. Tidal also revealed Rihanna's Anti album was downloaded 1.4 million times in less than 24 hours via Tidal. 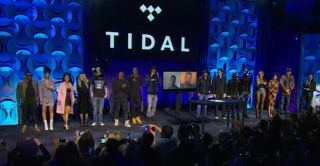 Tidal claims to offer 40 million songs and 130,000 videos, as well as delivering live concert streams and original TV shows.